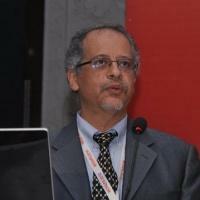 Prof. Sameh Shehata is working as professor and chairman of the Pediatric Surgery Department, Faculty of Medicine, University of Alexandria, Egypt. Current president of the Egyptian Association of Pediatric Surgeons EPSA. Vice president of the WOFAPS, and the cochairman of the IPEG Middle East chapter. He is an innovator of the technique of laparoscopic traction for the intra-abdominal testis know as the Shehata technique. Founder of the largest online pediatric surgery forum (The pediatric surgeon’s lounge). Strona korzysta z plików cookies. Więcej na temat plików cookies znajdziesz w polityce prywatności.